Theresa May’s government defeats Brexit amendments which sought to keep Britain in the single market and stay in a customs union with the European Union. A majority of MPs defeated attempts to turn the prime minister’s Brexit policy on its head on Wednesday. The government won the EEA/single market amendment with a majority of 201, and the customs union amendment with a majority of 28. 90 Labour MPs rebel against Jeremy Corbyn in the vote on the EEA/single market, while 6 resigned from senior positions immediately before the vote. The battle over customs is far from over. MPs will vote again on the issue later in the summer. Yesterday May agreed in principle to give MPs significant powers to shape the Brexit process. LONDON – Theresa May avoided defeats on key pillars of her Brexit policy after a majority of MPs voted with the UK government to defeat a number of amendments on Wednesday evening. MPs voted to defeat amendments to the EU Withdrawal Bill which were debated in the House of Commons, including amendments which sought to keep Britain in the single market and a customs union with the EU. However, although the prime minister was spared the complication and embarrassment of defeats of Wednesday, issues like customs are set to be revisited in a few weeks time when more Brexit-related legislation is put to MPs. Six Labour MPs resigned from senior roles in the party to defy Jeremy Corbyn on the single market vote, illustrating how it isn’t just the Conservatives that are split over the Brexit question. A total of 89 Labour MPs defied Corbyn in the vote on this amendment, making it the party’s biggest Brexit rebellion yet. The votes tonight followed a dramatic day of politics in Westminster on Tuesday, when Prime Minister May agreed in principle to give MPs greater power in the Brexit process in order to avoid a humiliating defeat. Remain-supporting Conservative MPs had threatened to defeat the government on an amendment known as the “meaningful vote” amendment, which would have given Parliament a wide-ranging veto to May’s Brexit deal, or even bring about another referendum on whether Britain should leave the EU. 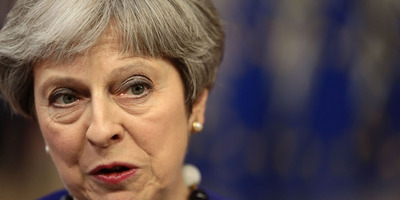 However, May made a last minute offer to enter talks about accepting the bulk of an alternative rebel amendment which would give MPs more limited powers to prevent Britain from crashing out of the EU without a deal. This group of pro-EU Tory MPs – including Anna Soubry, Ken Clarke and the amendment’s author, Dominic Grieve – have warned May that failure to deliver on her promise of greater powers for MPs to shape Brexit would force them to defeat her on this issue in a few weeks’ time. Here are the key amendments which MPs voted on Wednesday evening. 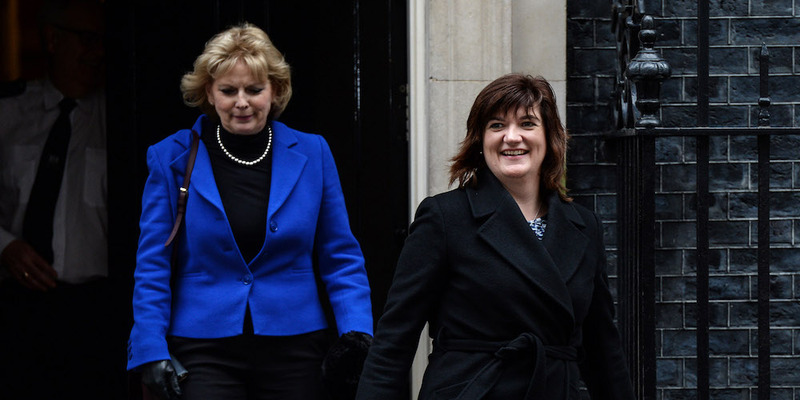 Chris J Ratcliffe/Getty ImagesPro-EU Conservative MPs, Anna Soubry and Nicky Morgan. The customs amendment would have forced May’s government to take steps to keep Britain in a customs union with the European Union after Brexit. This amendment had looked dangerous for the prime minister. However, her concession to “seek to negotiate” a “customs arrangement” with the EU was enough to placate Conservative MPs who were threatening to rebel. In a few weeks, MPs will vote on another piece of Brexit-related legislation called the trade bill. This is where Conservative rebels like Nicky Morgan, Anna Soubry and Ken Clark are expected to make their biggest move on customs. Rob Stothard / Stringer / Getty ImagesLabour leader Jeremy Corbyn. The European Economic Area amendment seeks to keep Britain in the European single market via membership of the EEA after it has left the EU – also known as the Norway model. 327 MPs voted against the EEA, while 126 voted for it. Majority: 201. Corbyn instructed his MPs to abstain on the amendment, meaning they should neither vote for or against it. However, the party is divided on the issue, with a total of 89 Labour MPs choosing to defy Corbyn. Laura Smith resigned from her junior shadow cabinet role in the run-up to the vote. She was joined by Ged Killen, Ellie Reeves, Tonia Antoniazzi, Anna McMorrin and Rosie Duffield, who all resigned from their roles as Parliamentary Private Secretaries. Prior to the vote, Labour’s staunch pro-EU MPs – such as Chuka Umunna and Owen Smith – pleaded with the leadership to embrace the Norway option, as they believe it’s the best chance retain full access to the single market. 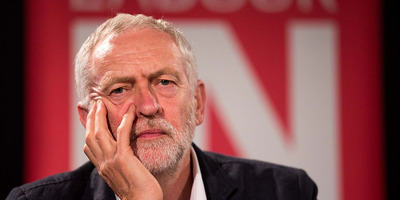 However, Labour MPs from Leave-voting seats – like Caroline Flint and Gareth Snell – have warned Corbyn that an EEA-style Brexit would not respect the wishes of Leave voters.